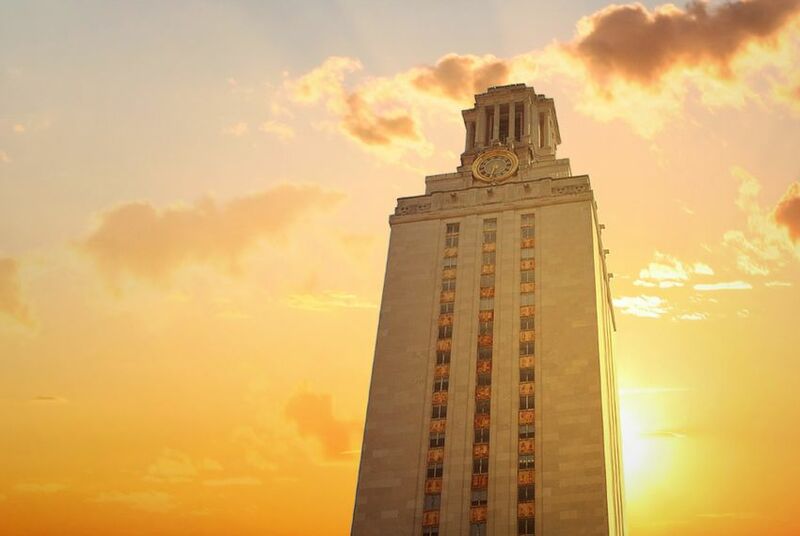 The University of Texas at Austin has launched a broad review of the academics of its athletes after allegations that three of its basketball players cheated in recent years. The review will go beyond the basketball program and look at all facets of the athletic department's academic guidance and resources, university officials said. It will include inquiries into admissions, tutoring, course selection and more. University President Greg Fenves said the purpose will be "to be sure that we are as strong as possible in supporting our students in the university." So far, no signs of academic improprieties have been found, he said. "Academic integrity is at the core of everything we do at the University of Texas," Fenves said. The review will be led by Gene Marsh, an Alabama lawyer who specializes in college athletics. Marsh had previously served on the NCAA's infractions committee when he worked for the University of Alabama. The review is in response to an article in the Chronicle of Higher Education last week that alleged cheating by basketball players under former men's coach Rick Barnes. At first, Marsh was hired simply to review those allegations. Now, he will delve deeper into the entire athletics department. Fenves, who took over the job as president on June 3, said he wants to learn more about the schooling of UT-Austin's student athletes. The Chronicle of Higher Education story's most serious allegation was that former basketball player Martez Walker was seen "snapping pictures of test questions on his phone and looking for answers from someone outside the classroom" during a final exam in a mathematics class, according to "two former academic advisers informed of the incident." The course's instructor contacted an athletic department liaison about the situation, and the liaison then passed the information up the chain to an associate athletics director, the article said. The story also said athletes were funneled into easy classes, including one that teaches children's literature. And it claimed that one athlete received inappropriate help with online courses before enrolling in the university. UT-Austin officials haven't commented on the accusations, saying they can't discuss students' academic records. Barnes, the coach of those players, left the school this spring after a disappointing season. Athletics Director Steve Patterson stressed Tuesday that Barnes' departure had nothing to do with allegations of academic impropriety. School officials said they don't know whether Barnes, who now coaches at the University of Tennessee, will be contacted for the investigation. "We have no information at this point in time that indicates we have operated in an unethical fashion," Patterson said. University officials said they don't know how long the inquiry will last or how much it will cost. The exact scope is still being figured out, but it will be broad, they said. "We are going to be looking at the full process," Fenves said. "I know Gene Marsh will be looking at specific students and specific grades and coursework." The NCAA has been informed of the inquiry, Fenves added. Marsh is a well-known college athletics lawyer — Penn State hired him following the Jerry Sandusky sexual abuse scandal to help negotiate the NCAA's sanctions against the university. "He is well-known in this area and has a long experience in athletics," Fenves said.